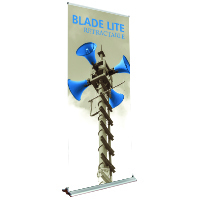 The Blade Lite 850 Retractable Banner Stand at 33.5"wide x 83.25" high is a premium Banner Stand offered at an affordable price! High quality full color graphics included, or purchase as Hardware only. 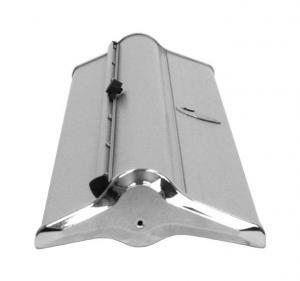 Lightweight base offers stability without swivel out feet, and the 3-part bungee pole makes set-up a snap. Padded Carry Bag is included! Banner stand lighting sold separately. shipping size: 38" x 10" x 5"